I don’t know about you, but I look forward to the Christmas season for about 6 months before it arrives. Even with the anticipation though, I always seem to be in a last minute scramble wrapping presents. Especially with a tiny newborn and toddler I feel like getting presents is a struggle. I thought buying/making the gift would be the greatest struggle. Boy was I wrong! I think getting the gift wrapped is the biggest dilemma around these parts. Sadly, this isn’t anything new. 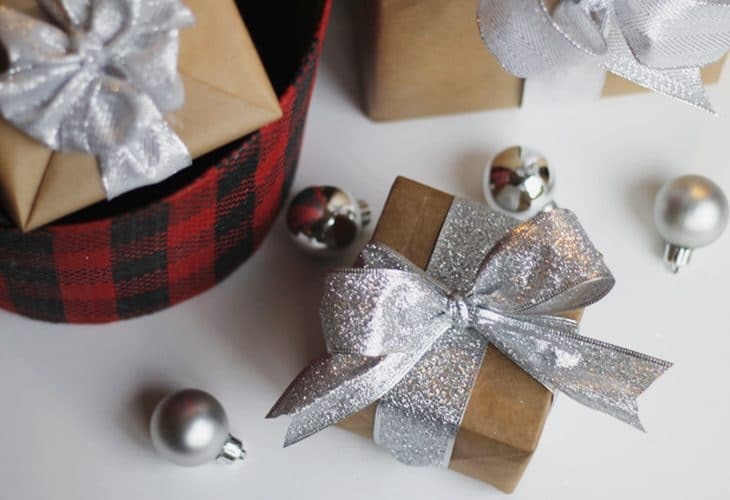 Whether it’s for a birthday party, anniversary present, or whatever special holiday it is, I always seem to be running out of wrapping paper, can’t find a bag the perfect size for a gift, or I’m out of bows. Well, no more. 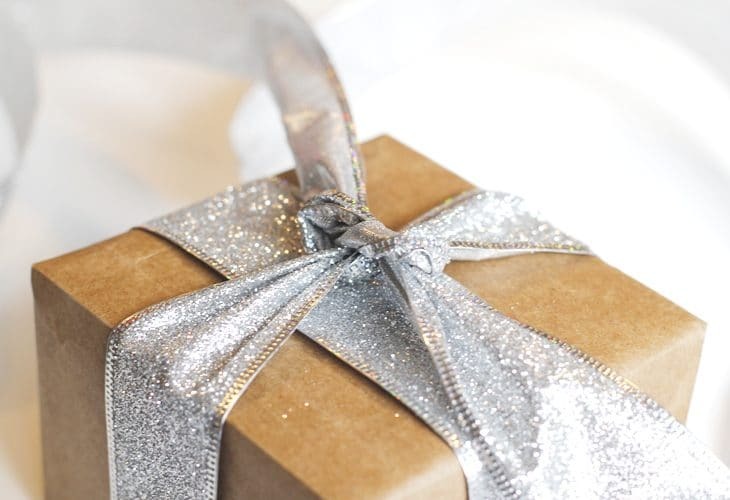 Here is my go-to last minute gift wrap solution that only uses TWO things (if you’re feeling really desperate or three of you’re lucky) and I always have it on hand! 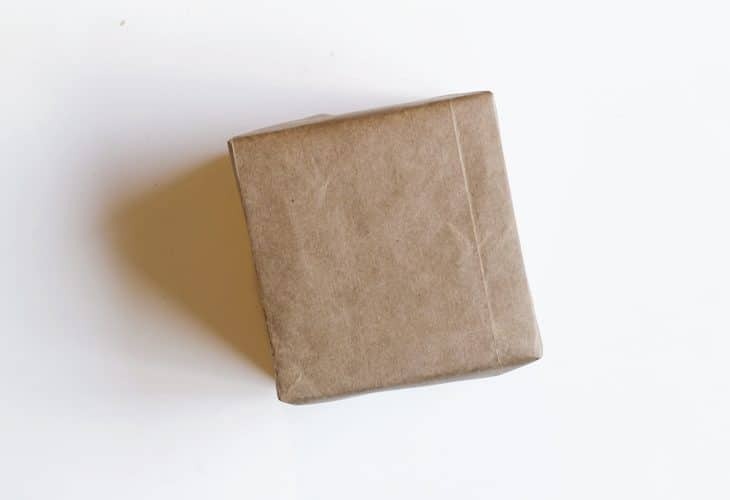 Next, wrap your present like you would any present. 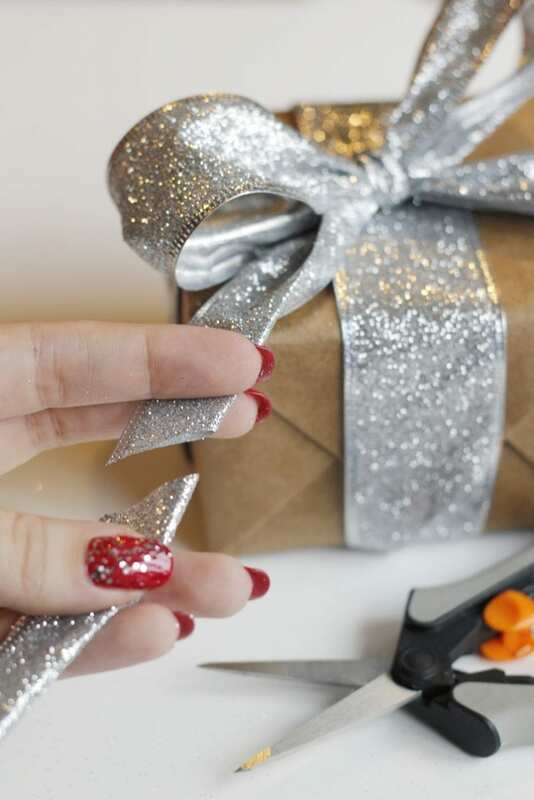 If you’re feeling real crafty, you don’t even need the tape. 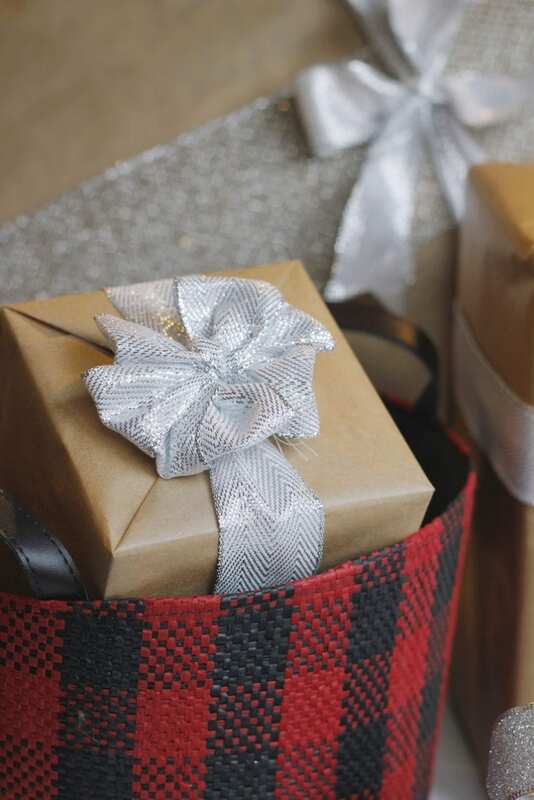 Wrap your present tightly, tuck in the ends, and tie that ribbon around nice and snug. 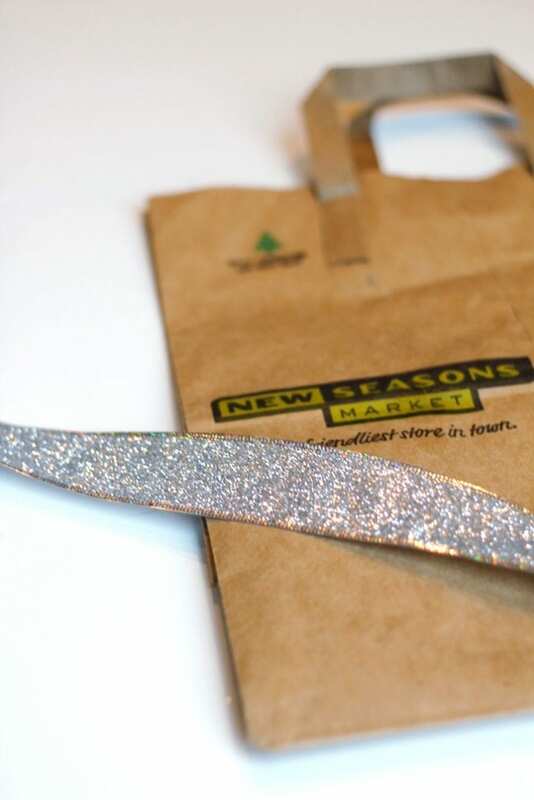 Once your bow is made, be sure to cut off the ends of your ribbon tails with a nice V cut. 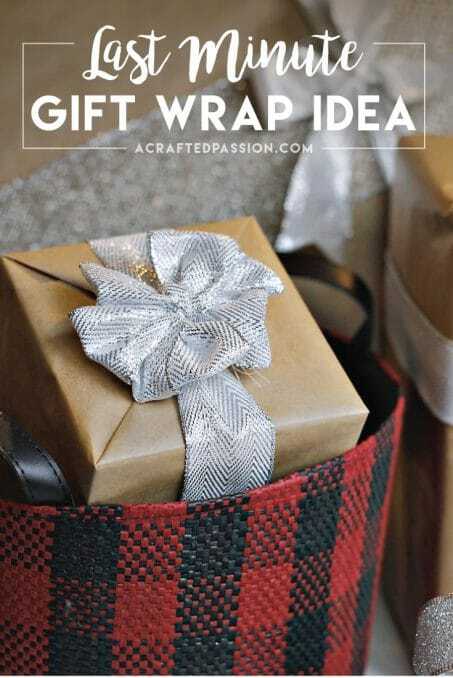 Fold the ribbon in half and cut from the folded edge to the outside edge at an angle. 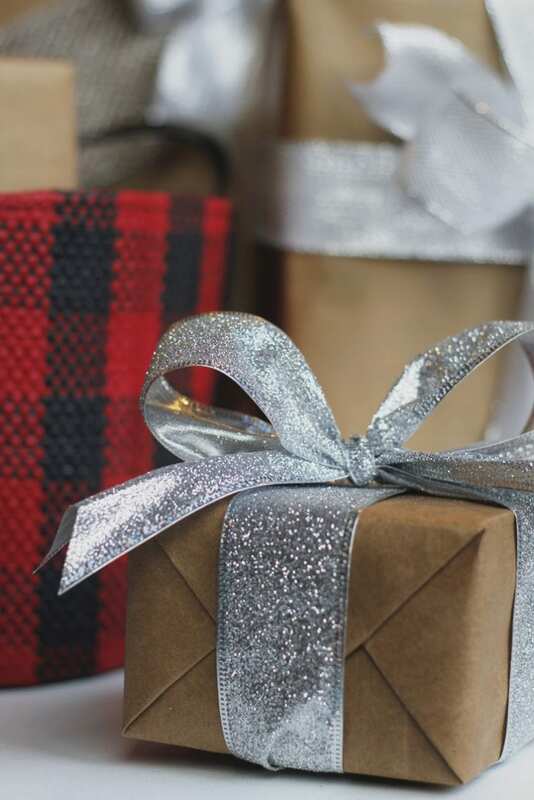 I love how all my gifts are coordinated in a simplistic way and look so perfect as a finishing touch under my tree. 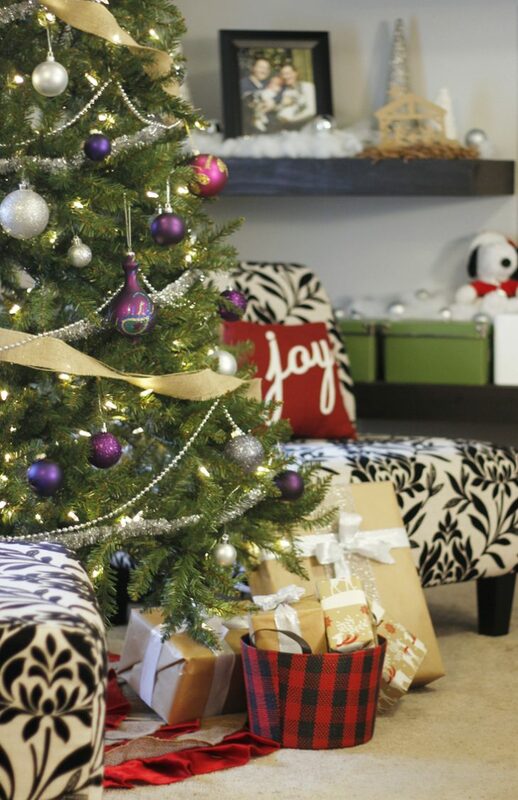 If you haven’t seen my traditional Christmas home tour from last year, you can see it here.